Rarely a week goes by these days without someone proclaiming movies dead or dying or zombified and feasting on the brains of their victims. Mainstream Hollywood has seen better days, but film as an art form is just fine; in a world where Moonlight, The Handmaiden, Arrival, and Loving are all competing for screen space, there’s still life left in movies yet. I’m more concerned about movie theaters, where the presentation seems to get worse every single year. When I wrote about the noticeable rise of improper screen masking in movie theaters a few weeks ago, the intensity of the reaction surprised me. I wasn’t the only one who’d picked up on this problem — and others like it. Exhibitors are charging more and more for tickets (upwards of $20 in many places, including here in New York City) and delivering less and less value. People are getting fed up. It shouldn’t be too much to ask for sharp, clear, bright presentation. But when I talk to other moviegoers, I get the sense they don’t have a frame of reference to compare good and bad, particularly when it comes to stuff like 3D. 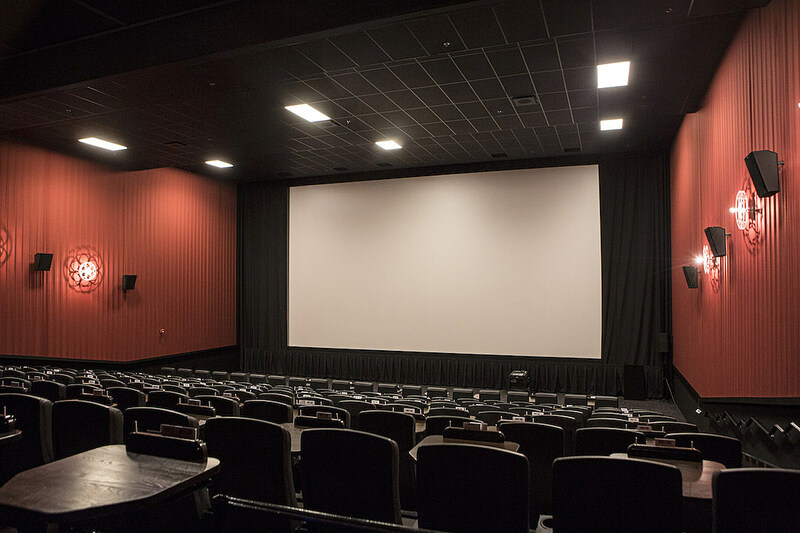 Theater customers are typically seeing a film for the first time. Sure, the movie looks oddly cropped and it’s too dark to make out the actors’ faces, but maybe it’s supposed to look like that? How do you know if you’re getting your money’s worth? To help you get the most bang for your moviegoing buck, I’ve put together this very simple consumer guide to good film projection. For technical expertise, I consulted with Mark Louis, Director of Presentation for the Alamo Drafthouse theater chain, while he was in town prepping their brand-new Brooklyn location for its grand opening this Friday night. Below you’ll find exactly what you should expect out of every theater, no matter where you are or what your ticket costs. If your local multiplex isn’t up to snuff, say something or find a theater that takes exhibition more seriously. Louis says the most common problem he encounters in movie theaters relates to brightness. All digital movies are supposed to be projected at 14 foot-lamberts, an industry standard established by a group called DCI. 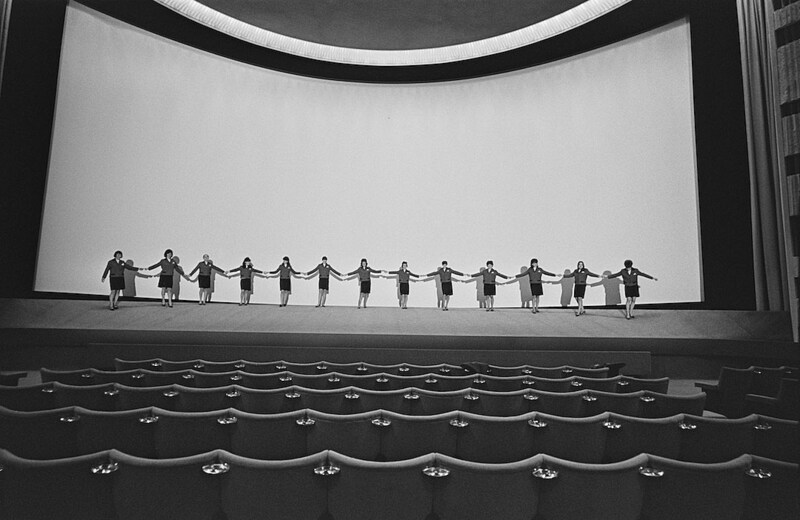 In practice, many theaters fall short of that level of illumination. The problem, according to Lewis, is usually badly maintained projectors. “In at least half the cases, if not more,” he told me, “it’s a situation where they haven’t maintained the equipment properly. 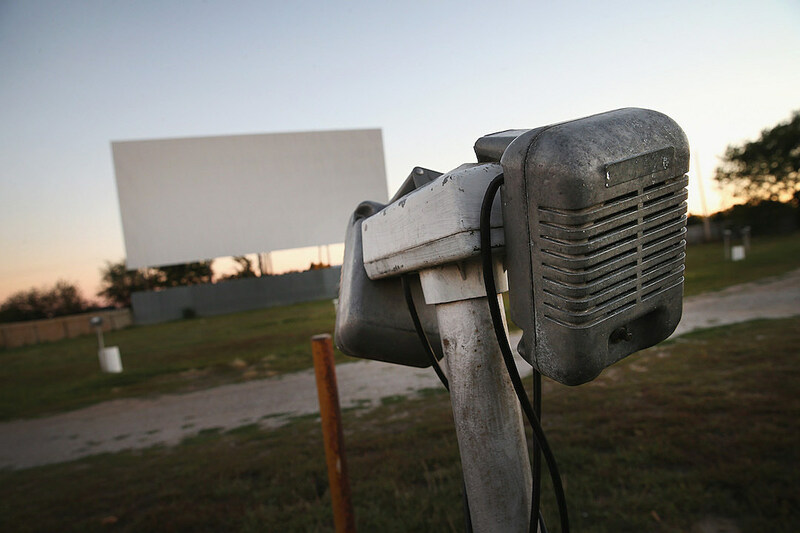 The bulb has aged too much and darkened too much and the light level falls off rapidly at that point.” Though the Alamo checks their equipment quarterly, Louis says in some multiplexes you‘re lucky if someone tests the projectors twice a year. Of course, plenty of movies are shot in low-light conditions. 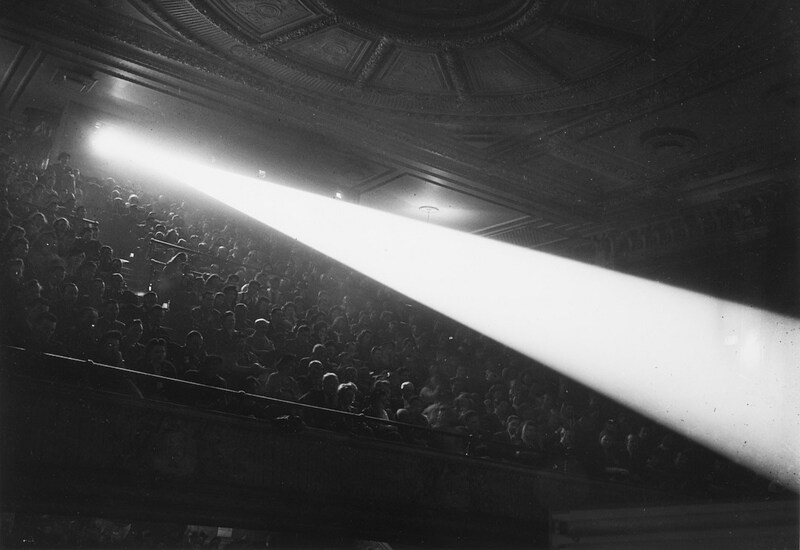 So short of bringing a light meter to the theater, how can you tell if your theater is projecting movies brightly enough? “When it comes to dark scenes,” Louis says “if you don’t see the details, you know that there’s probably not enough light. When it comes to light scenes, if the colors aren’t vibrant ... if the reds aren’t vibrant, yellows aren’t vibrant — yellows are a crucial color in film — then you’re lacking brightness.” Except for very rare exceptions, if you can’t read the fine points of the image in those low-light scenes, something is wrong. One major source of issues that Louis cited was one I never think about: the screen itself. It’s one of the most common complaints he hears about, he said, because it’s something that’s harder to control. Apparently, screens present a tantalizing temptation to some moviegoers, who like to touch or rub them. And once they’re dirty or damaged, changing a screen is a lot harder and more expensive than fixing a bulb in a projector. “You’re talking thousands of dollars, not just in the screen itself, but also the cost of labor involved. It’s not something that can be changed out so readily.” Louis explained. So please, for the good of us all: When you go to the movie theater, don’t touch the f---ing screen. I already wrote an entire post about this, so here’s the short short version. Most movies are projected in two different formats: “Flat,” or 1.85:1 (meaning the image is 1.85 times as wide as it is tall), and “scope,” or 2.39:1 (meaning the image is 2.39 times as wide as it is tall). Projecting both on a single screen means adjusting its dimensions through the use of “masking”; shrinking or expanding the top and bottom or sides to fit the image. Increasingly, though, some theaters aren’t bothering to mask their screens. Some theaters are even installing what are called “floating screens,” which have no masking at all. The reasons why this is bad are outlined in my earlier post. With proper masking, Louis says, you should feel like you’re “looking out a window.” Electronic masking is not the same; the black bars aren’t true black, and they still give off a little bit of light and illuminate those parts of the screen. That’s less like looking out a window than looking at a really big Blu-ray. If your local theater has floating screens, no amount of complaining will get them to mask your movies properly; they’re simply not capable of doing it. Your best bet in that case is to take note of what theaters in your area still mask their screens correctly, and if you’re going to see a movie in scope (something you can check on the “Technical Specs” section of its IMDb page) you can seek one of them out. Also, some theaters still project flat movies in scope and vice versa. If there are blank areas of the screen, or heads or subtitles getting consistently cut off, something is definitely wrong. This is something I hear a lot of confusion over: 2K versus 4K, and whether this makes a tangible difference in the moviegoing experience. Mark Louis says the difference is most noticeable on bigger screens. (4K is four times the resolution of 2K.) Note, though, that even in 2016, only about 30 percent of films are released in 4K (although some 4K projectors, including the ones the Alamo uses, can upscale 2K). Also, 4K might sound amazing, but Louis notes a fact that I think has escaped notice by a lot of movie lovers: 35mm film is still higher resolution that 4K digital. “If you compare grains to pixels,” according to Louis, “there’s upwards of twice to three times more grains per square inch [on film] than there are pixels per square inch [on digital] when you do a direct comparison.” Viva the digital revolution! 3D projectors are even more prone to trouble than 2D projectors. They project two different images, one for each eye, which must be aligned perfectly to create the illusion of three dimensions. 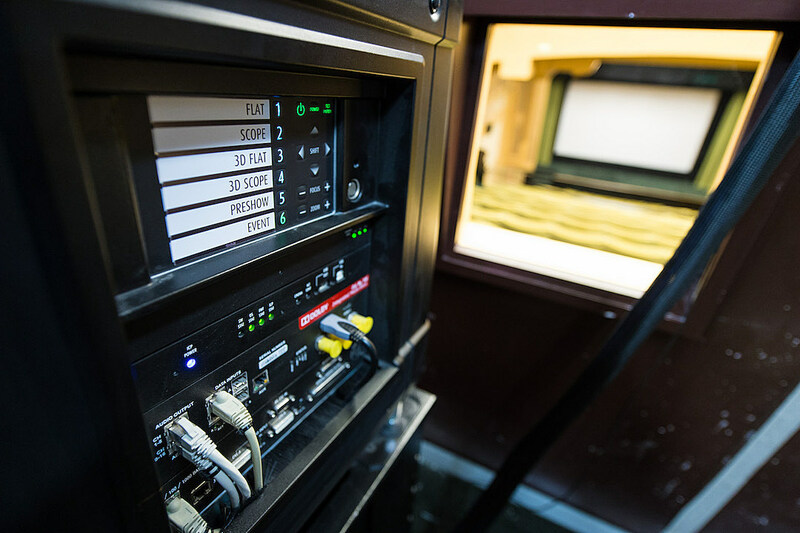 Something as small as a projectionist bumping into the equipment can be enough to throw their alignment off. If you’ve ever seen a 3D movie where the image seemed a little blurry or the depth effects weren’t as impactful as you expected, you probably paid for a misaligned 3D movie. 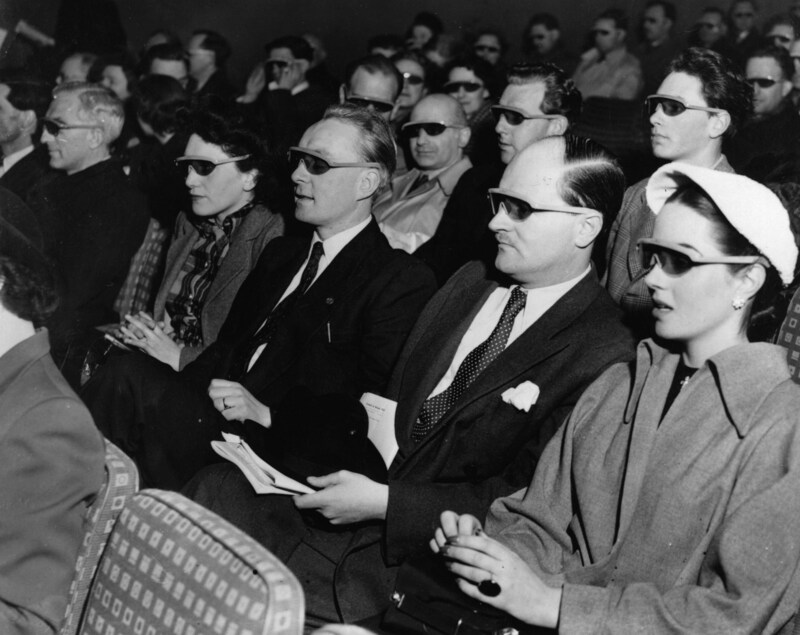 Ever felt eye strain or fatigue during a 3D movie? Odds are that’s the projection’s fault, not the film or 3D conversion itself. This problem is most commonly caused by a slight difference in the light levels of the two different images. If the levels aren’t properly calibrated, and one eye is brighter than the other, your brain will try to compensate for the discrepancy, hence eye strain. If that happens, you might want to say something to your theater’s manager; they need to double-check their equipment. While it may be invisible, sound is crucially important to a movie’s presentation. As Louis puts it, “if you don’t have sound as discrete as it should be” you’ve got a problem. In a good theater, the bass is supposed to make you “actually feel the explosion as much as you see and hear the higher frequencies. That immerses you in the film so much more.” Muddy sound destroys that immersive sensation. And here’s one last tip: While people disagree about which seat in the theater gives you the best image, there’s a definitive best spot in the theater to get the best sound: Dead center of the room. If you want the full sonic experience, go middle-middle.